B U B B L E G A R M: Jelly Pong Pong.. Bit of a weird brand name, as Pong means a really bad smell. 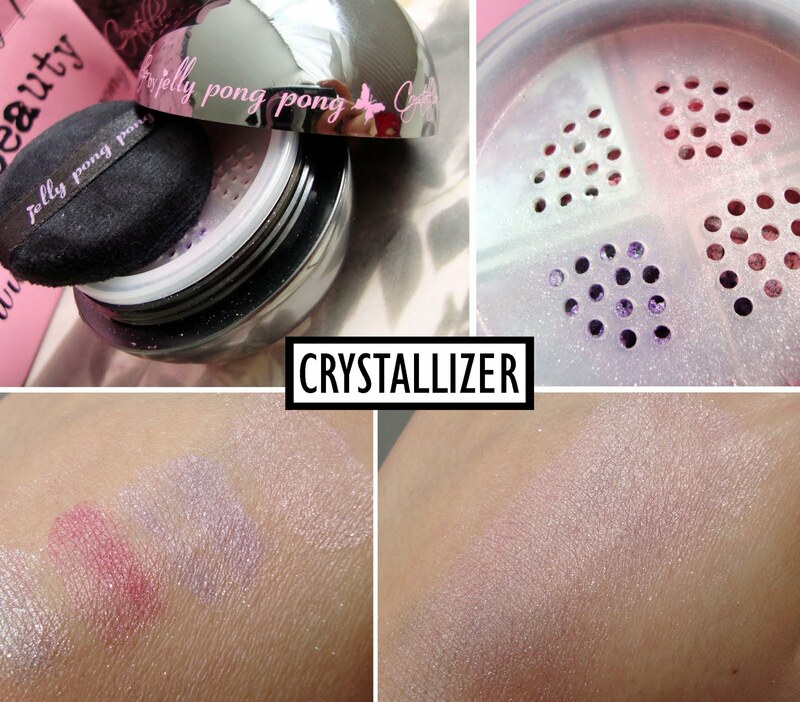 I don't think I want to try these products, they look very child-ish, unlike brands such as YSL etc. Never heard about it before! Im 'young' and Im really off putt this brand, I just dont see any of it looking nice on me, its expensive for what it is too!! The stuff kinda looks cute! I am afraid, this level of cuteness makes me think of additives... Sort of weird colourings and parabens - you get the idea. And the name is a bit weird. :( The boxes are pretty, though. i use their fairy lashes mascara, it is absulately amazing! but must agree with the pricing..too expensive for what it is.. I would never want to buy any of this brand- it does not appeal.. I wonder why they chose to send it to you- I am guessing you are over the age of uhhm 14? (lol)Maybe they thought they could win you over..? I think the blue beads are a bit..? the packaging is so cute and girly. Jelly Pong Pong reminds me of Benefit or Soap and Glory and i find too that sometimes these brands do compromise the product for the packaging. 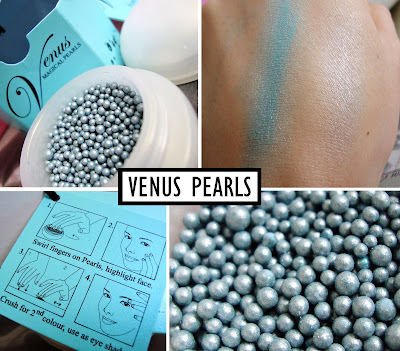 The venus pearls look interesting though. Oh gosh, I am so jelous!!! You are really, really pretty! Wow. If u like, so visit mine. Looks uber cute and to be honest I would actually buy it for how cute it looks lol. I guess that would only apply for the lip glosses though as the rest does not seem cute to me. Hi Muhsine! I love you blog which is why I have just awarded you with the Stylish Blogger award! To see your award take a look here! I've never tried anything by this brand because it's not available in Croatia. The packaging seems a bit childish, but maybe the product is great. Hmm... I don't think I'll be trying those. Also, not a fan of the name. PS - You are very pretty! I'm not a huge fan of this brand... have used some of their stuff and it's left me underwhelmed ! Wow the products are all so adorable! Even if they didn't work well I would feel cute just whipping some of those things out of my purse haha. 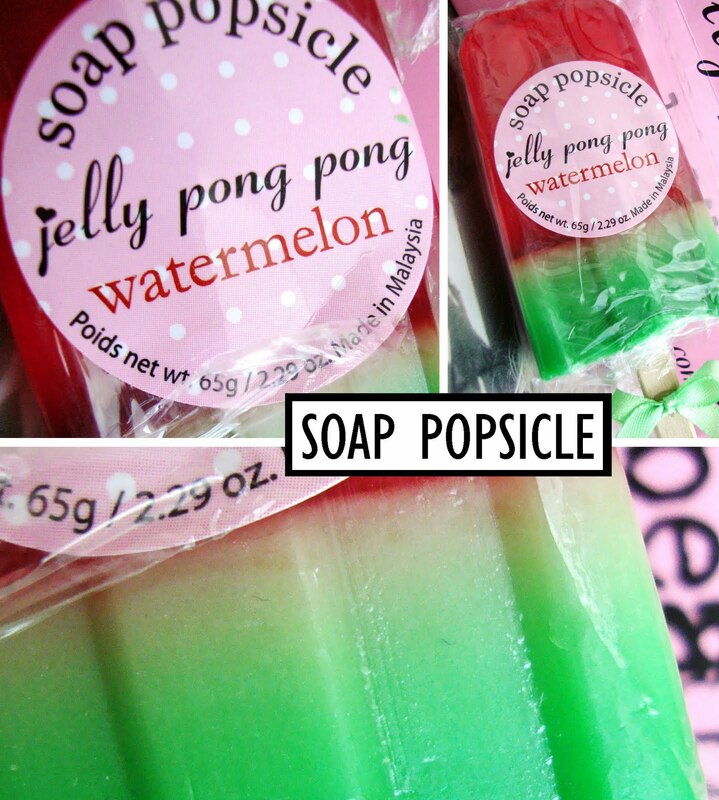 I saw a couple of Jelly Pong Pong products for sale at Beautyticket.com and was definitely intrigued. Please check out my blog if you get a chance! Love your blog Muhsine, very inspiring. People worried about scares online concerning sulphates and parabens and the like. Talk to the actual scientific community. I think you'll find the scares are really just trying to play to your anxiety. I have anxiety issues but I'am also scientifically-minded so I asked around. Found out a lot. Synthetics are regulated more than naturals. As I suspected, natural doesn't mean safe. Cinnamon, potatoes, common table mushrooms, carrots all contain natural poisonous substances. But anyway, check Jelly Pong Pong's sit they are apparently against Sulphates.